On February 22, the Preservation League of New York State named the Industrial Heritage of Williamburg to its annual "7 to Save" list. The listing identifies Williamsburg as one of seven highly endangered historic resources in New York State. This nomination highlights the plight of Williamsburg's endangered building stock - factories, lofts, workers' housing and related civic architecture. More details on the "7 to Save" nomination can be found โบนัส 100 % กีฬาhere and at the Preservation League of New York State. *UPDATE: As noted in the comments, there is some confusion about exactly what and how many buildings are up for designation. The building being considered is the Processing House, shown in photos 1 and 3 in this post. The processing house is actually three separate structures: the Filter House, which is the 12-story portion nearest the river; the Pan House which is the northern 2/3 of the 10-story portion along Kent Avenue; and the Pan House, which is the southern 1/3 of the 10-story portion along Kent Avenue. We have always referred to this conglomeration, which includes the large smokestack but nothing to the west of it, as one building. Landmarks has taken to calling this three buildings, which is fine. By that math, though, there are five buildings on the Domino site that were constructed in 1883, and Landmarks is only considering three of these. WPA continues to believe that the remaining two buildings, the Adant House (photo 2, above) and the Power House are significant, and that both could be preserved and incorporated into a reuse of the site. But mostly, we're excited that the Processing House (or the Filter, Finishing and Pan Houses) is (are) finally up for Landmark consideration. Clear enough? (Actually, it should be clearer if you look at our site plan in our Domino history post.) UPDATE #2: We were imprecise in some of our wording above; LPC has calendared the Processing House. That means that sometime in the (near) future, LPC will hold a public hearing at which the Commissioners will consider whether or not to designate the structure. Calendaring is the first step in the process, but Domino is by no means a City landmark (yet). 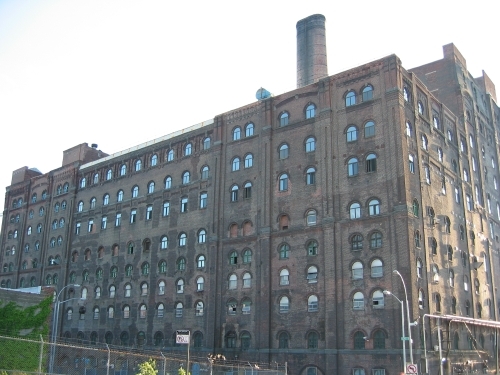 The National Trust for Historic Preservation announced today that it is listing Brooklyn’s industrial heritage as one of the nation’s 11 most endangered historic resources. This announcement should provide a major boost for the efforts of WPA and other groups who are working to preserve this industrial heritage for future generations. The listing recognizes that Brooklyn’s industrial waterfront is undergoing significant changes, and challenges the notion that the city is better off just erasing this heritage from our shores forever. This announcement by the National Trust comes only a year after the Preservation League of New York State listed Williamsburg’s industrial heritage on its annual list of 7 endangered state resources. Taken together, these two listings are the best evidence we can think of that Brooklyn’s industrial heritage is an important (and threatened) resource that should be protected, preserved and made a part of Brooklyn's future. The National Trust and the Preservation League both recognize the significance – local, state and national – of our industrial heritage, and hopefully this recognition will translate into more sympathetic ears here in New York City. As many of you know, the City’s Landmarks Preservation Commission has been very busy in our waterfront communities. In the past few years, the Commission has calendared or designated major resources such as the Austin, Nichols & Co. Warehouse, the Hecla Iron Works building, the Smith, Gray & Co. building, the New York & Long Island Coignet Stone Company building, the Thompson Meter Company building, the Eberhard Faber Pencil Factory historic district, and the Domino Sugar Refinery. LPC is also (hopefully) very near ready to calendar the Dumbo Historic District. LPC could be doing more, but two things slow them up. The first is funding, and here the City Council has come through again, setting aside an additional $300,000 in the FY’08 budget for LPC (up from last year’s $250,000 incremental allocation). 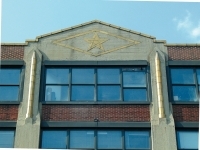 The second and more critical hurdle is the strong resistance of the real estate community and some members of the City Council to landmarking in general, and landmarking Brooklyn’s industrial heritage in particular. Of course this played out most famously in the Austin, Nichols & Co. fight, where LPC did the right thing in designating this magnificent Cass Gilbert warehouse. The designation was turned down by the Council, with Councilmember Simcha Felder famously describing the building as a “piece of trash”. Even Mayor Bloomberg’s veto was not enough to change the Council’s mind, and the undesignation of Austin, Nichols stood. So now the National Trust has weighed in, and thrown its support behind the Preservation League, LPC and Mayor Bloomberg in saying that Brooklyn’s industrial heritage matters. 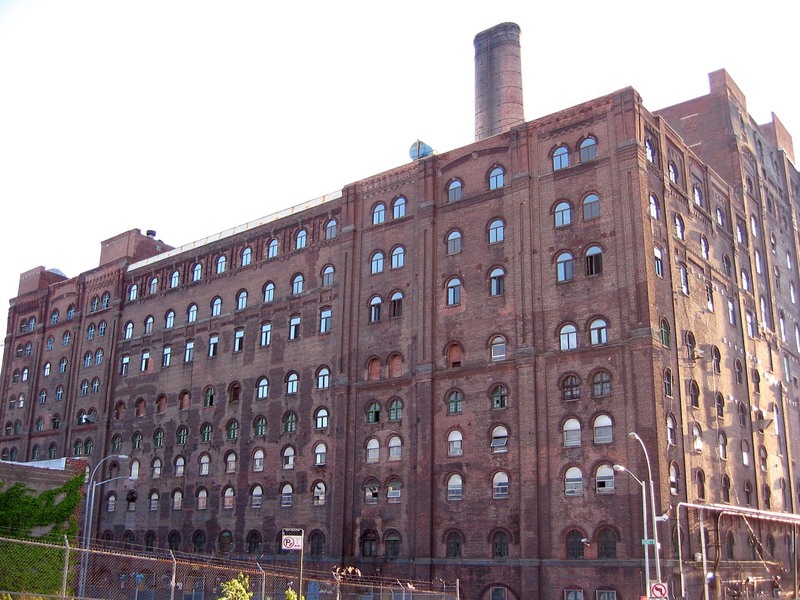 This gives a huge and welcome boost to groups like WPA and DUMBO Neighborhood Association, who have been leading the efforts to protect and reuse industrial buildings. Once again, we will be able to point to a major endorsement of our agenda for preservation. Perhaps now, some of the naysayers will have a change of heart. BTW - The nomination for the 11-most-endangered list was put together by the Municipal Art Society, with help from groups like WPA and DNA. 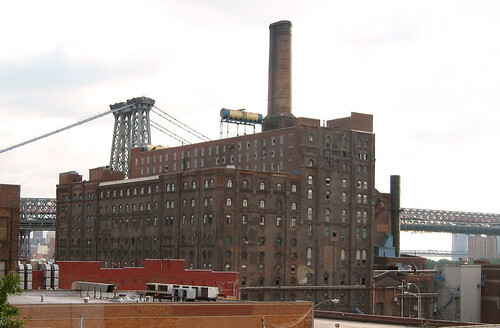 MAS (which has been a tireless promoter of this cause for a number of years now) has put together a great web site on Brooklyn's industrial heritage. The NYTimes has more here. 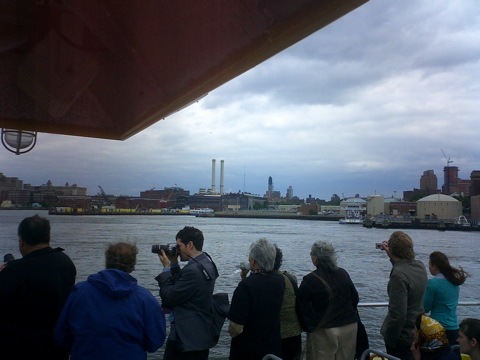 Press junket on the NY Water Taxi, passing the Navy Yard. 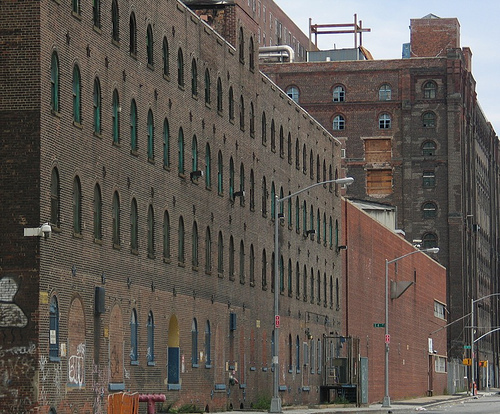 Its been three days since the National Trust listed Brooklyn's industrial waterfront as one of the nation's 11 most endangered historic resources of 2007, and the coverage (and impact?) continues. The following is a brief sampling of the articles and blog posts that have appeared on the subject. For more fun, type "Brooklyn waterfront endangered" into a Google news search - read all 194 entries. The Times' City Section had a piece today on the impending demolition of the Kent Avenue BRT power plant. In the article, a Con Ed rep admits that they company has no idea what they are doing with the site. They're not even sure if they are going to sell it. Given the lack of clarity on the site's future, we'll reiterate our position that its premature and wasteful to tear down a building that could be an excellent candidate for reuse. Doing environmental abatement does not necessarily require demolition. Unless Con Ed is proposing to turn the site into a pubic park, there is no reason to tear down the building right now. Unless, of course, Con Ed isn't telling us something about their plans.